From time to time Vapor Tech will sell equipment. These might be older models or simply equipment or items we bought and no longer need. This page will be updated regularly with new equipment so check back frequently. 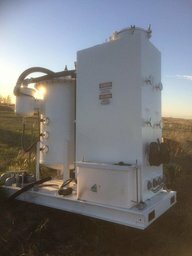 VTS36-500 vacuum truck scrubber unit that has never been used. Excellent savings!